"Rosie the Riveter" is a two sided print in color white. 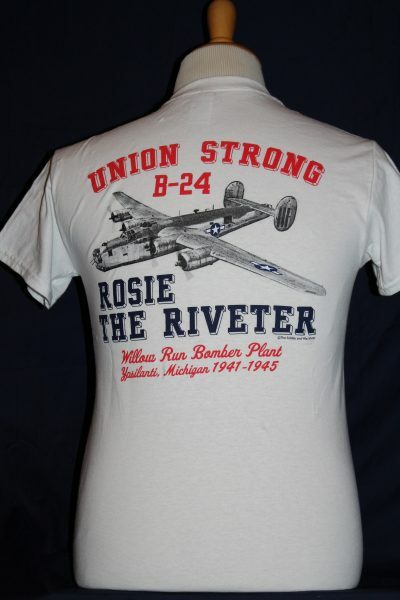 Front Design: Image of Rosie WWII icon. 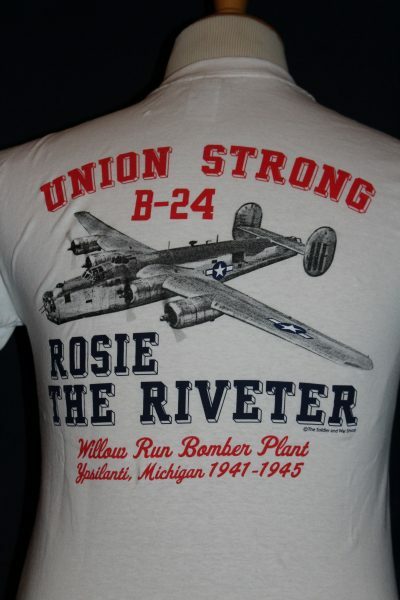 Back Design: B-24 manufactured at the Willow Run Bomber Plant with text. 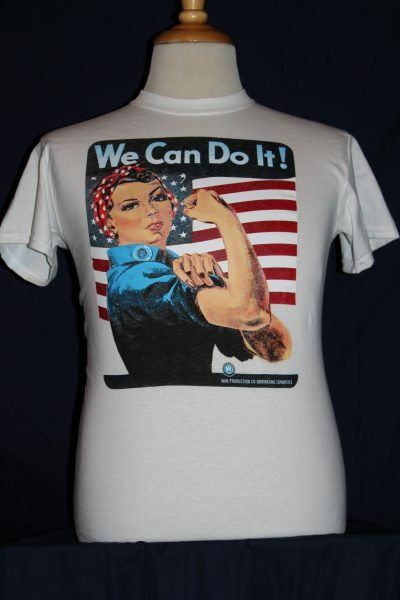 Gildan Preshrunk 100% cotton. 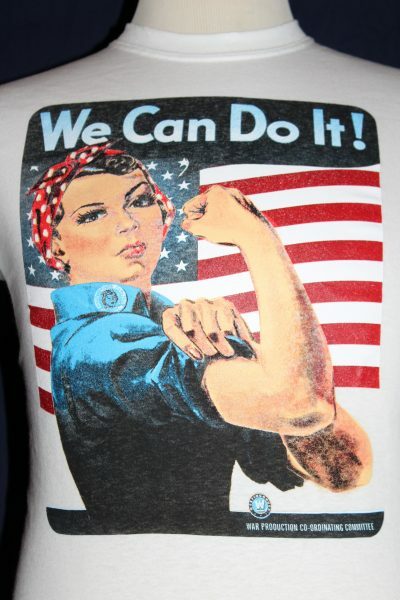 This shirt will retain it's shape and colors through multiple washings.